DWDM SFP Transceiver Modules are available in all 100GHz C-band wavelengths in the DWDM ITU grid. They are designed to Multi -Source Agreement (MSA) standards to ensure broad compatibility of network equipment. As interfaces multi-rate protocols support 100 Mbps to 4.25Gbps. DWDM SFP transceivers are small form factor modules plug for bidirectional serial optical data communications comoFibra 4x/2x/1x Channel, SONET SDH and Ethernet applications. 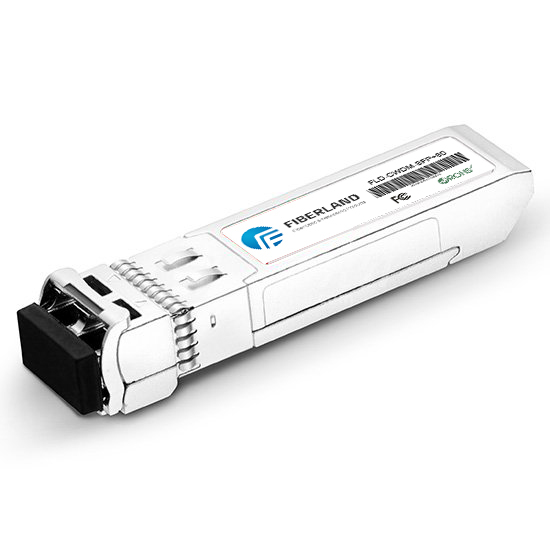 DWDM SFP Transceiver Modules are pluggable and digital diagnostic functions available through aI2C serial bus specified in the SFP MSA SFF- 8472. 80km 1.25G SFP DWDM is an optical compact module transceiver used in optical communications for both telecommunication and data communications applications. SFP, as the upgrade version GBIC module, also called Mini GBIC. SFPs are designed to support SONET / SDH, Gigabit Ethernet, Fiber Channel, Optical Supervisory Channel SFP OSC and communication standards. It is a popular industry format jointly developed with the support of many network component vendors. SFP transceivers are designed to support SONET, Gigabit Ethernet, Fibre Channel, and communication standards. Because of their smaller size, obsoletes SFP converter before ubiquitous interface Gigabit (GBIC) SFP is sometimes mistakenly referred to as a " mini -GBIC to (but no device has never been defined in the MSAs) .